I launched Websites4smb to work with small & medium (SMB) sized businesses to improve their online presence. I design and build websites that are visual, content rich, responsive, customer centric and solution based with effective SEO. MY WEBSITES ARE PERFECT AND AFFORDABLE FOR SMALL BUSINESSES. 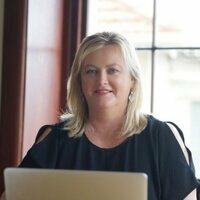 With over 20 years’ advertising and digital marketing experience specialising in interactive eMarketing, online strategies, relationship, social media and affiliate marketing I am the perfect choice to give you an individual and personalised service and help you with your website and other marketing needs. As you know it’s no good having a beautifully designed website if the navigation and user experience is not right….if search engines (Google and others) are not happy and therefore not ranking you well. My Digital marketing experience ensures best practice SEO. I start with researching your company and then your competitors, what are they doing, what keywords are they using, who is paying for google Adwords in your space, who is doing social media well and how this will affect your rankings. This market information gives a great starting point, and with discussions and briefing information from you I gain a clear picture of what is needed to Design. Build. Market. your site. My websites can include some or all of the following depending on your needs…domain name registration, hosting, personalised email address, Search Engine Optimisation and pinging to search engines such as Google, Bing, Yahoo & You Tube. Plus uploading to the free online Directories. All this as well as a beautifully designed and built site!